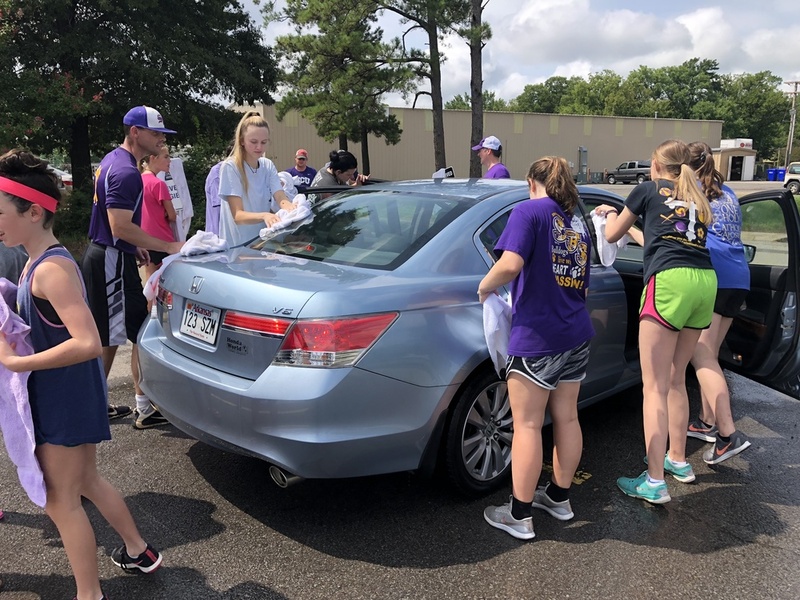 A vehicle reaches the drying-off station at the Booster Club Car Wash. It wrapped at 2:30 p.m. after cleaning more than 160 cars and trucks. It's estimated that close to $4,500 was taken in not counting concession receipts. All proceeds will help underwrite our school's athletic programs. Thanks to everyone who supported this effort.